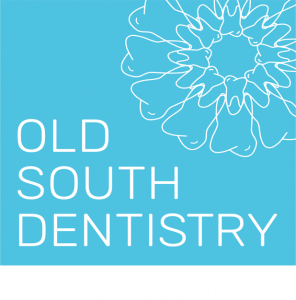 At Old South Dentistry, we welcome new patients to join our family! and your method of payment. At your first visit, we will review your dental and medical history, perform a comprehensive examination of your teeth and gums, as well as an oral cancer screening. Often, we will also take any necessary xrays to complement our examination. We will discuss our findings and recommended treatment and options you have. When possible, we will perform your cleaning on the same day. Your appointment is the time specifically reserved for you with our doctor and hygienist. The appointments are considered confirmed at the time of booking. As a courtesy, we will send an email, text, or phone call before your appointment to remind you of the date and time you have reserved. If you are unable to make your scheduled appointment time, we ask for two full business days notice to reschedule. This gives us enough time to schedule another patient in your place. When patients give the office enough notice of their need to cancel a scheduled appointment, this time can in turn, be allocated to those patients in pain and need of urgent treatment. In this manner, our office can best serve the needs of ALL patients. Without two days notice, you will be charged a cancellation fee for canceled appointments. We accept cash, cheque, debit, Visa or Mastercard. We also accept most dental benefit plans. days. Alternatively, we offer direct billing to your insurance, provided that the deductible and/or any portion which is not covered during your visit is paid in full at the time of the appointment. Whether insured or not, all patients are responsible for the fees for treatment provided. Please contact us at 519-434-5599 with any questions!